Workout on land with the feeling of water, ideal for recovery sessions, physical therapy. Same size as a YOGA Mat. Only full body fitness instability solution, like a BOSU for your body! Includes Tethers, Pump & Kit! The worlds first & only full body fitness product for physical therapy and workouts. 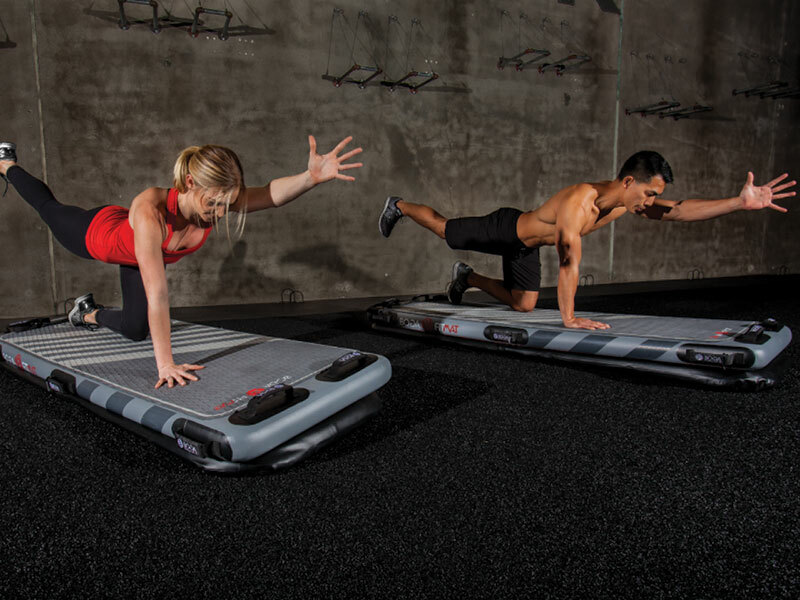 The BOGA FITMAT is the perfect fitness mat solution for studios and fitness classes because of it’s incredible stability and durability and small size @ 8ft x 35 inches. Take your fitness anywhere! Now more than ever, gyms, resorts and schools can easily add BOGAFIT and BOGAYOGA classes. Experience for yourself why ABC News calls BOGAFIT “The Hottest Fitness Workout of 2017”. Using the Fitmat builds strength, deepens flexibility, and improves balance and coordination through a carefully selected set of movements. 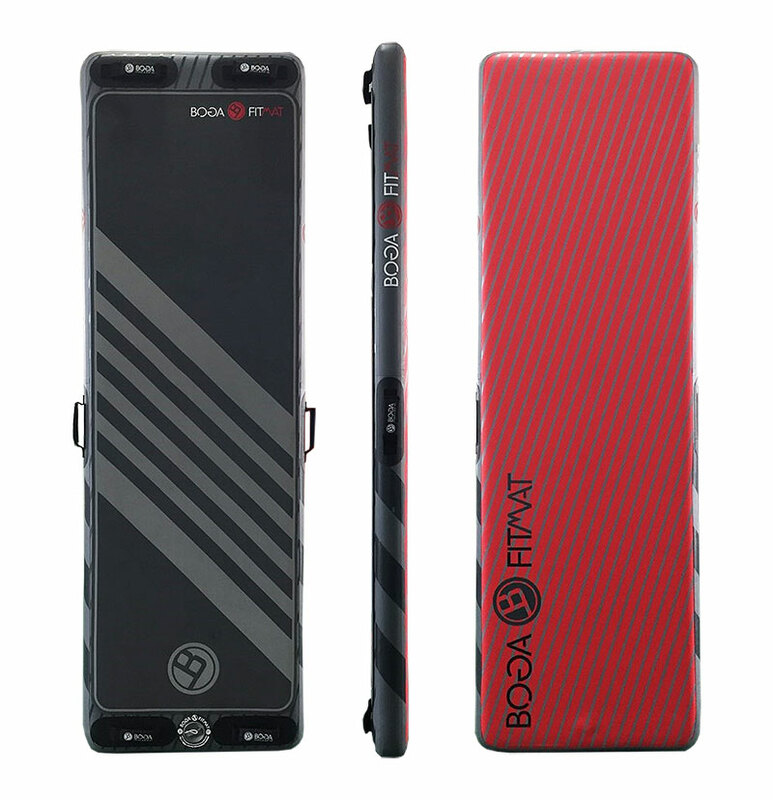 BOGAFIT exercises both enhance the benefits of traditional fitness movements while eliminating the harsh impacts of these exercises, creating high intensity workouts that remain low intensity on your body. The world’s first full body instability, resistance and incline platform. Build upon our experience with aquatics, the Studio FITMAT is made for LAND USE and simulates the effects and instability of water through a patented air base system. The air base easily attaches and detaches making the FITMAT Studio great for home use, studios and gyms. The FITMAT Studio allows the easy attachment of resistance bands and has built in incline capabilities to extend your stretches and exercises (with build in foot and handle straps). A truly innovative product, the FITMAT Studio can be used as the base for any functional training from sit ups, squats and more, extending core muscle groups and creating low impact benefits to formally high impact movements. One totally unique feature of the FITMAT is the patent pending LANDBASE Air module. This creates a Air Base beneath the FITMAT which replicates the movements of water but on land creating a controlled instability. We have these being used in gyms with people doing balance recovery training, MMA sparing training and physical therapy. 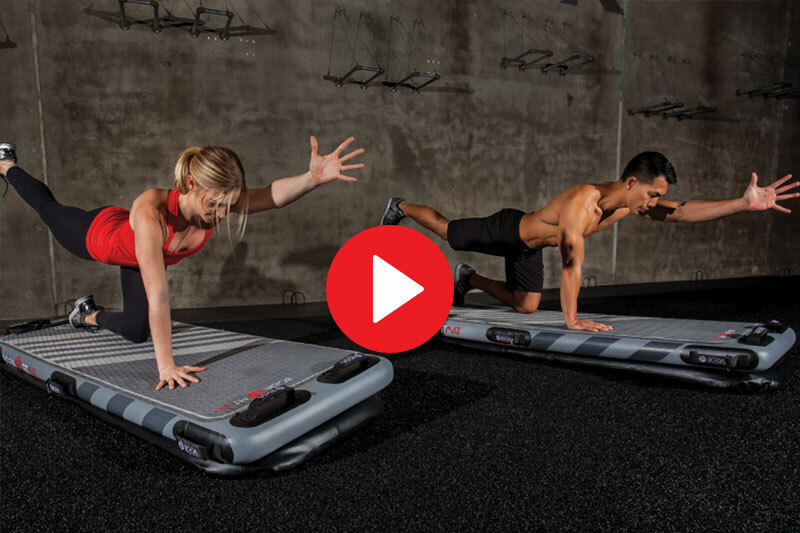 This is a totally new area of Fitness and training and this feature is 100% unique to the FITMAT. 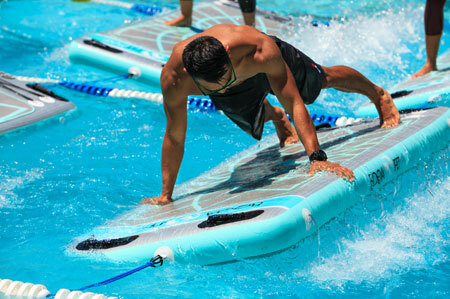 This takes the FITMAT beyond the water and creates an additional value to your fitness clients.